The raw material for making mathematical constructions can be found all around you. 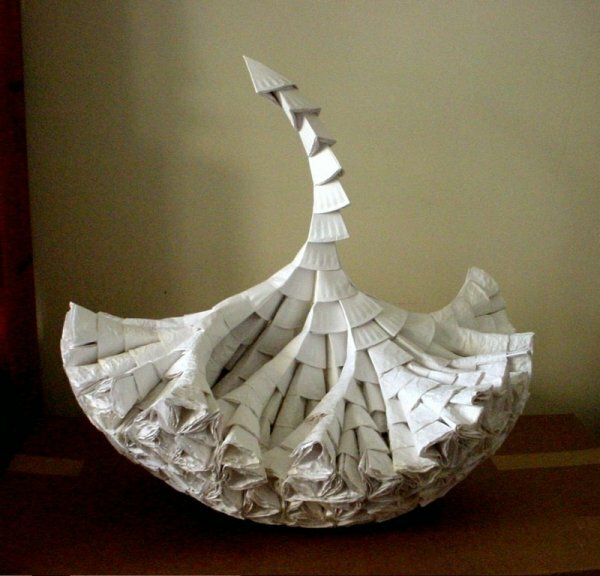 Bradford Hansen-Smith makes intricate geometric sculptures entirely from paper plates. 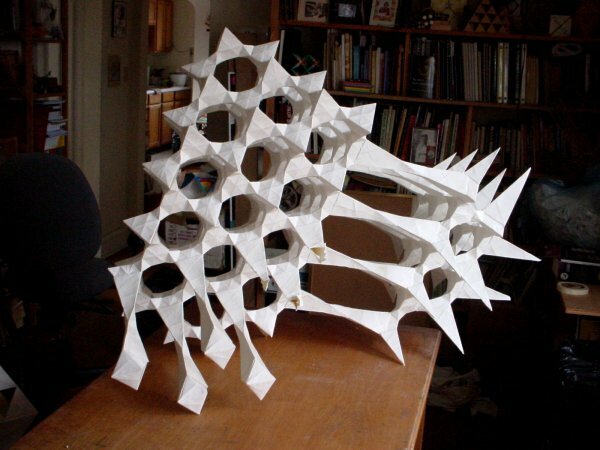 The above icosahedral form is assembled from eighty folded plates that interlock. 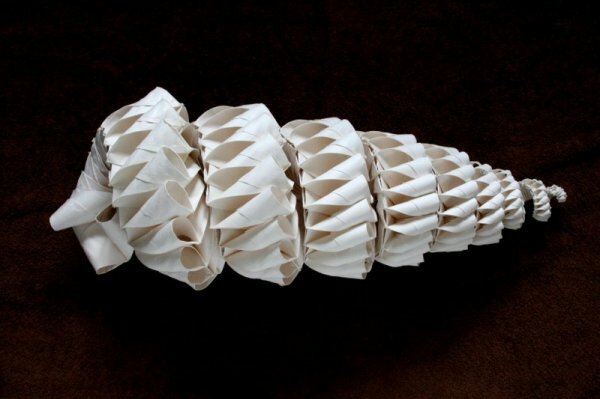 This helical form is constructed from 128 paper plates. 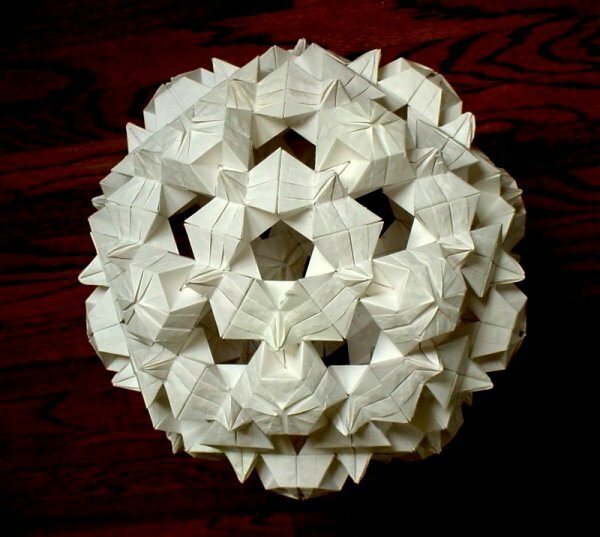 This crystal lattice is made from 181 paper plates. And this exponentially branching construction consists of 517 paper plates! This article first appeared on Make: Online, March 29, 2010.